Every groundbreaking technology today should take into consideration the human element and interaction and how it complements its surroundings. That’s the vision that UnionBank of the Philippines—led by its President, Mr. Edwin Bautista (right), brought to life with the help of Micro-D International, Inc. (MDI) at The ARK, a refreshing retail space that espouses digital technology to augment an actual banking experience. The next wave of successful Philippine enterprises is redefining the way brands interact and connect with consumers as we speak. The barometer of success for businesses in the future will not only depend on how they utilize technology. More importantly, their growth will be heavily anchored on the depth of interaction and quality experience customers get by interfacing with their brand. This is what Micro-D International, Inc. (MDI) chief executive officer Myla Villanueva believes as she takes the lead in advocating real Digital Transformation (DX) in the Philippines, one where the DX Trinity - Design, the Physical Space, and the Brand's Aspirations - exist in harmony to create a remarkable customer experience. The next wave of successful Philippine enterprises, led by Digital Transformation (DX) advocates Micro-D International, Inc. and UnionBank of the Philippines, is redefining the way brands interact and connect with consumers as we speak. 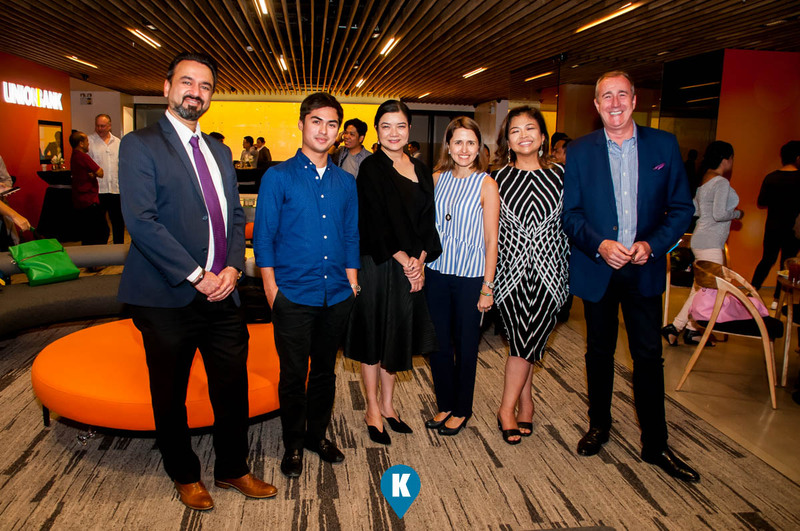 Shown in this photo during last Wednesday’s business roundtable at The Ark—a groundbreaking retail and banking hub concept by UnionBank—at Ayala Avenue Makati are (L-R) Bonsey Design Strategic Director Bhavit Bhatt; UnionBank Customer Experience Manager, Julian Aboitiz; MDI Chief Executive Officer, Myla Villanueva; UnionBank Deputy Center Head for Consumer Finance and Chief User Experience Officer. Ana Aboitiz-Delgado; Brand Architect and fellow DX champion, Amor Maclang; and Bonsey Design Principal Creative and Executive Officer Jonathan Bonsey. MDI Believes that any design which does not prioritize the integration of technology within a physical space and aligns itself with the brand's promise is an incomplete design. 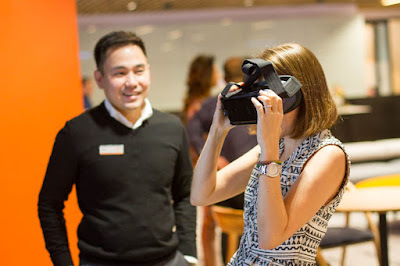 "The challenge for businesses today is how they can integrate their back-end with their front to bring their brand aspirations to life," Villanueva says. "Look at other innovation pioneers, like Apple or GoPro. Every groundbreaking technology today should take into consideration the human element and interaction and how it complements its surroundings. 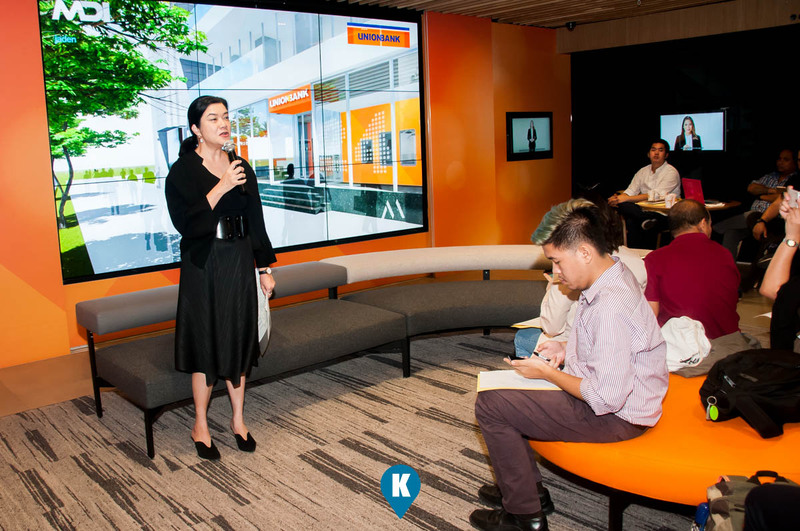 Nowadays, it has become very important for corporations to understand that technology is utilized not just for technology's sake. It must serve a bigger purpose in their organization as an "enabler". For the past 30 years, MDI has partnered with some of the country's leading corporations to do just that: embrace the DX Trinity to ensure that their brand's promises are manifested across all contact points with their customers. The first step in MDI's DX journey is taking the time to understand the aspirations of the business. What is the bigger goal they want to achieve? How do they see themselves as innovators? How will their ideas manifest within their space? Afterwards, the next thing to do is bring in their fellow innovation advocates. "We collaborate with the right partners in promoting true Digital Transformation to make sure the the DX Trinity come naturally together. This way, we can ensure that an enterprise can make a significant and lasting impact, while generating the ultimate customer experience." Villanueva explains. 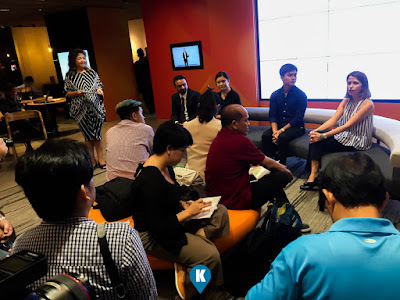 Perhaps, one of the finest examples that illustrate the coming together of the DX Trinity is the work that MDI has done together with UnionBank of the Philippines (UnionBank) for "The ARK" - the brand's ground breaking retail and banking hub in Makati. 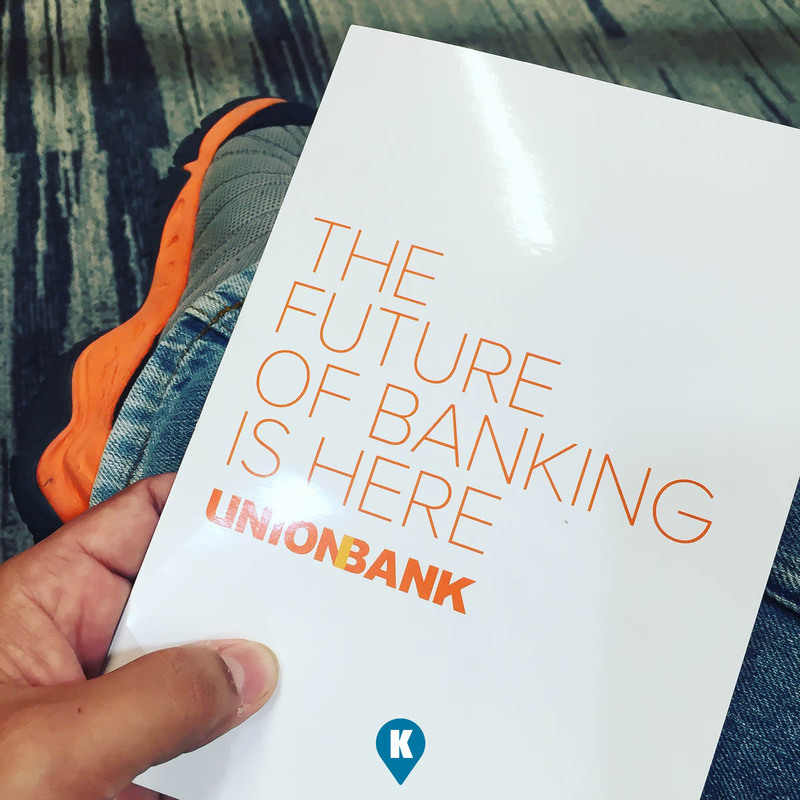 "The ARK is a bridge between the real-world banking experience and the digital experience, which we have made possible by teaming up with our partners, led of course by MDI," says Ana Aboitiz-Delgado, deputy center head for Consumer Finance and Chief User Experience Officer of UnionBank. 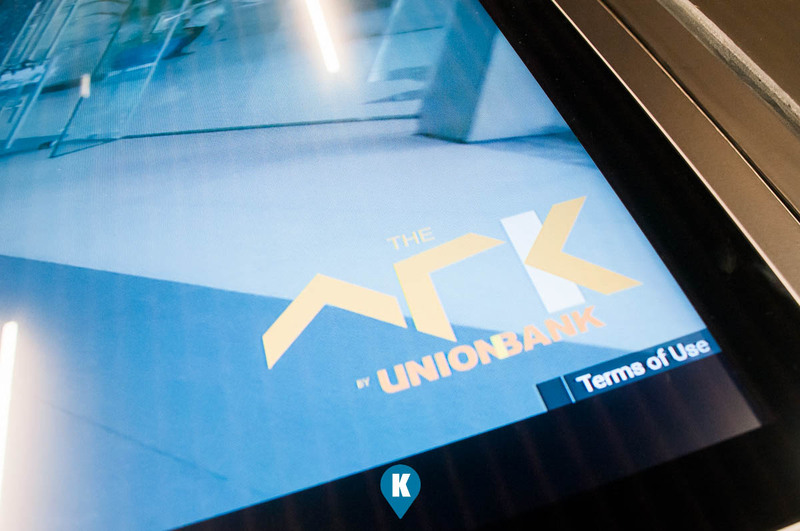 The ARK is a refreshing space that uses digital technology to augment an actual banking experience. It has been a very interesting project for MDI simply because of what they were able to accomplish given the kind of vision UnionBank shared with them. "When we spoke to UnionBank President Mr. Edwin Bautista, he made their aspiration very clear to us: to be the leading digital bank by designing a brand experience like a tech company that has a banking engine," Villanueva says. 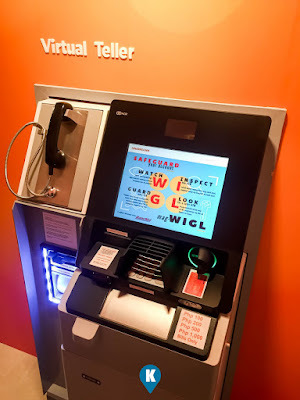 What followed was a long process of going back to the basics and understanding the intricacies and the details of every customer's point of interaction inside the bank. MDI looked at every process, every engagement, every interaction a customer goes through their journey in a branch. Then, they researched and experimented on how they could make each process more effective and efficient, and how they can delight the customer by maximizing the DX Trinity. The result was a space where clients can move around freely, make themselves feel comfortable, order a free latte at the coffee bar, or log on to the internet to get some work done. Through The Ark, a groundbreaking concept brought to life by Micro-D International, Inc. (MDI) and UnionBank of the Philippines, the latter’s vision of becoming the country’s leading digital bank that offers a brand experience as if it’s a tech company with a banking engine has been successfully brought to life. The Ark also becomes an avenue for off-site productivity, encouraging creative tech ideas not just from its partners but from its customers as well. Still within the space, there is a very powerful technology that allows customers to save time, fulfill their usual routines, enjoy a more hassle free banking experience, and interact with the space positively. "We're very delighted at how MDI and our partners have interpreted our vision and brought our ideas to life at The ARK." Delgado explains. "Look around you and you'll see that this is not just a bank anymore. It's now become a 'third space'". The way technology has evolved today, there really needs to be a strong synergy between technology, design and brand aspirations. This DX Trinity has become the primary pillars for the game-changing work that MDI has been doing because, as Villanueva asserts, any DX journey will cease to make a difference if one of these three goes missing. visit www.mdi.netph and learn more how Micro-D International, Inc. (MDI) is advocating powerful and impactful change in Philippine businesses by championing "REAL" Design Transformation (DX) through the coming together of technology, space and brand aspirations.